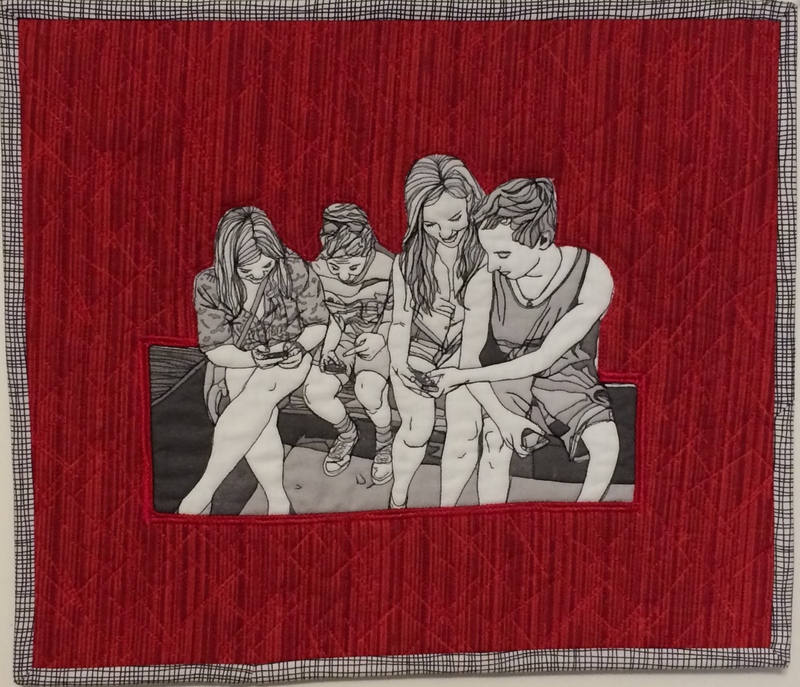 I am so happy to be attending the International Quilt Festival in Houston two years in a row. At the Festival I have two pieces that were juried into the World of Beauty Competition: Geisha and Waiting Expectantly. I love doing portraits! Geisha is painted on canvas and Waiting Expectantly is created digitally on my iPad and then printed onto fabric. Great news Sherry! Keep up the good work cuz your work is both beautiful and thought provoking. Thanks Gay…hello to Michael too. 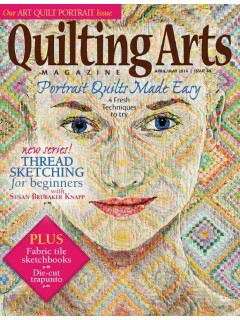 Good (Tuesday) morning, Sherry, and thank you so much for sending me the great news from the Quilt Festival! I love those “texting”-works, they are so current! Texting people fill metros, buses, trams, pavements, cafés, meetings… all the time, everywhere. You are the only artist that I know who depicts this very phenomenon of our time. Thank you for La Quinta- greetings as well. Looks very far away, very exotic. Thanks Maria…yes texting is universal from LA to Helsinki…I hope to write you before I leave tomorrow.